Squarespace is one of the most popular web publishing services on the internet that provides hosting services to some of the most well-known and visited sites on the web today. From individuals to buisnesses, everyone who uses Squarespace can instantly recognize their great relationship with customers by offering extremely easy-to-use tools for creating, maintain, developing, customizing and promoting their online site, blog, gallery, e-shop, or any kind of online presence you can imagine. With hundreds of templates that can be customized with mouse dragging or by directly editing the HTML code, automatic cloud server processing and scaling up in times of high bandwidth usage, you can be assured that your website can be up and running in record time. Create a beautiful website with Squarespace! Make any design your own using the Style Editor. Personalize fonts, colors, and layouts to create the custom look you want. With our reliable and scalable cloud infrastructure, there's nothing to install, patch, or upgrade. Ever. Import. Sync. Publish. Make your website the center of your online identity on the web with our powerful social integrations. Search engines love Squarespace websites. That's because our templates include clean article links, proper tagging, XML sitemaps, and valid XHTML code. View the traffic and behavior of visitors in real-time. Learn where they're coming from, and what search keywords they're using to find you. Squarespace is currently hosting thousands of popular websites with billions of monthly hits, and if you or your businesses want a reliable and easily maintained web presence, this service is definitely for you. Create a beautiful website with Squarespace! 85+ professionally designed style variants from brand-name designers, all with point-and-click control over every design element. Every annual and bi-annual account receives a free custom domain, giving you the most complete website service possible. Social widgets let you aggregate data from across your social networks completely within the Squarespace environment. 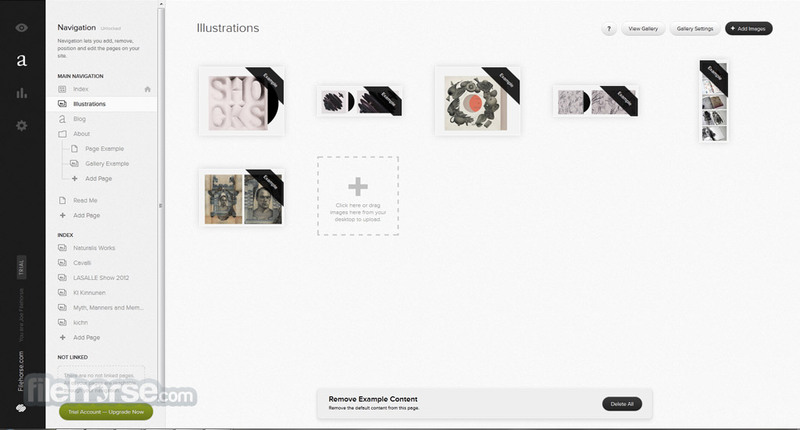 Customizable galleries let you choose how to present your work. Lightbox integration, hover effects, and image resizing are a few perks. Squarespace mobile apps are completely hand-built. Post to your blog, manage comments, and see detailed statistics, all while on the go. Powerful analytics tools let you view your site traffic in real time. Learn where visitors are coming from, and how they found you. Whatever platform you're coming from, Squarespace servers move over your images, copy your posts, and make sure all your links work. Want to add content? Edit something you already wrote? No problem. >>>>>>Our rapid content-editing tool will help you every step of the way. Unlimited plan comes with an industrial-strength form builder, that contains 14 field types, and collects data via email or spreadsheet. 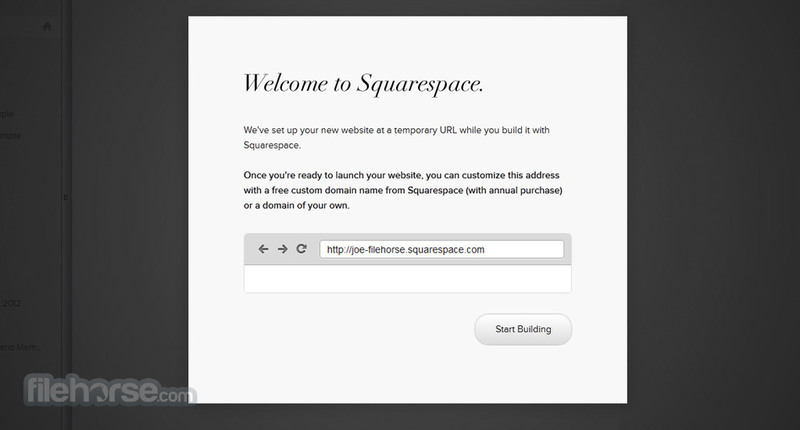 Create a beautiful website with Squarespace!